Oprah Winfrey, other actors from "Selma" and hundreds more marched to the city's Edmund Pettus Bridge this year on the eve of Martin Luther King Jr. Day. But a bigger event is expected to attract more than 40,000 people in Selma on March 5-9. The annual Bridge Crossing Jubilee is scheduled, and it will include a walk across the bridge March 8. The event will mark the 50th anniversary of the "Bloody Sunday." Law enforcement used billy clubs and tear gas to rout marchers intent on walking 50 miles to Montgomery on March 7, 1965, to seek the right for blacks to register to vote. 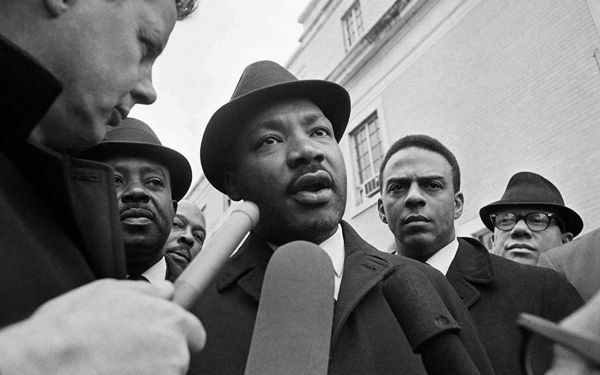 A new march, led by Martin Luther King Jr., began March 21, 1965. It arrived in Montgomery on March 25, with the crowd swelling to 25,000 by the time they reached the Capitol. Those events and others helped lead to passage of the 1965 Voting Rights Act. The law opened Southern polling places to millions of blacks and ended all-white rule in the South. 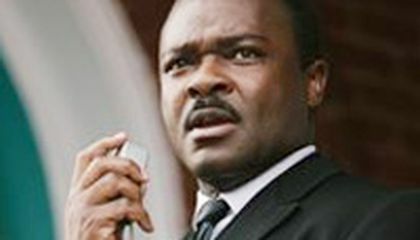 The movie "Selma" won Oscar nominations for best picture and best song. Today, the bridge and adjoining downtown business district in Selma look much as they did in 1965, except many storefronts are empty and government buildings are occupied largely by African-American officials. Attractions related to the protests are all within walking distance of the bridge. They include the First Baptist Church, where many protests were organized. And Brown Chapel A.M.E. Church, where marchers congregated before going to the bridge. It is also where they sought safety after being beaten. Near the bridge, there's a free tour of an interpretative center built by the National Park Service. The center offers photographs of the events and emotional video interviews with people who were on both sides of the issues. Not far away is the Ancient Africa, Enslavement and Civil War Museum. Visitors can see how slaves were captured, sold and exploited. There is a depiction of what it was like to be on a slave ship bound for America. State Sen. Hank Sanders, Selma's first black senator since Reconstruction and a founder of the National VotingRights Museum, said Selma's location an hour's drive west of Interstate 65, a major route to Gulf Coast beaches, will help attract more visitors to the museum this spring and summer. Alabama's governor, Robert Bentley, said the movie and the 50th anniversary of the Voting Rights Act are opportunities to relive history and see how Alabama has changed. I think this is a good article about the civil rights movement. I learned more things about the civil rights movement like the marches to alabama and about the muesuems about the civil rights movement. This article is mainly about the town of Selma, where many parts of the civil rights movement took place. The article changes between talking about historical importance and the movie. The way the title hooked readers with an interesting title referencing the movie to draw in readers yet still have it be able to talk about something important was genius. Kudos to the author. It talked about how visitors are likely to participate in a march across "the bridge" yet not saying what bridge. I know but not everyone will. I liked this article because it talked about how segregation, which unfortunately still is a problem around the world, was made illegal in the US. Though people who voted against ending segregation married a black woman and had a son with her (I'm looking at you dead congressmen in South Carolina) it is just used to push some peoples agendas. However this comment will not be a monologue moral debate with myself. This was a good article that is worthy of being on this website. Not to be a bad person, but I think all this slave, civil rights stuff is annoying. Why is there so many things on the same topic? We all know that these things are really awful, but think about the other horrors done to other races, not just African Americans. For example why aren't there movies on things done to Asian Americans, when Pearl Harbor happened? All Asians were prisoned, just because they bore similar oriental looks to the Japanese. Another question is, what are Baptists and Bloody Sunday? Its good that there are people that dont let history fade away into this new generation we are in i believe that all generations old and new should never forget the important events that happen in our U.S. Nation. I hope The move Selma motivates people to do better and smarter things in the world. I think this movie is very insparational. And this article explains why. Martin luther king jr was very moving and made people happy and yet mad people mad. yes the movie is very inspirational because someone is standing up for blacks and other racism. this movie ends racism.plus people should deserve their freedom. Selma is a town full of African American history and celebrities. Making a movie there would not only increase the amount of tourists it gets, but it would also bring alot of attention to not only the town, but also to the attention of African-American discrimination, which is slowly creeping back up in America. I think its a good idea making the movie Selma. Also, the good idea about this movie is that it is based on a true story of a group of people who are trying to earn their rights peacefully.